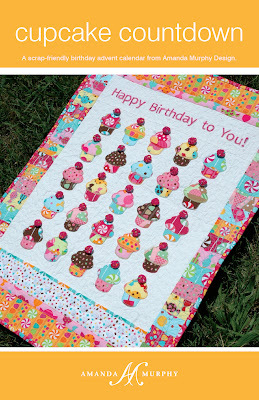 Introducing two new patterns… Cupcake Countdown and Square Dance! Cupcake Countdown is a fun, advent-style birthday calendar for your favorite kids in your life! (Fabrics shown are from Dessert Party by Ann Kelle for Robert Kaufman.) As the days go by, you move the yo-yo cherries from the bottom white confetti print area up to decorate the top of each cupcake! 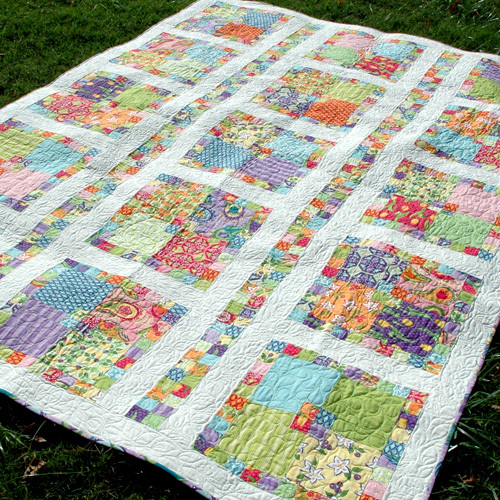 And Square Dance uses up modern fat quarters in a really fun way. 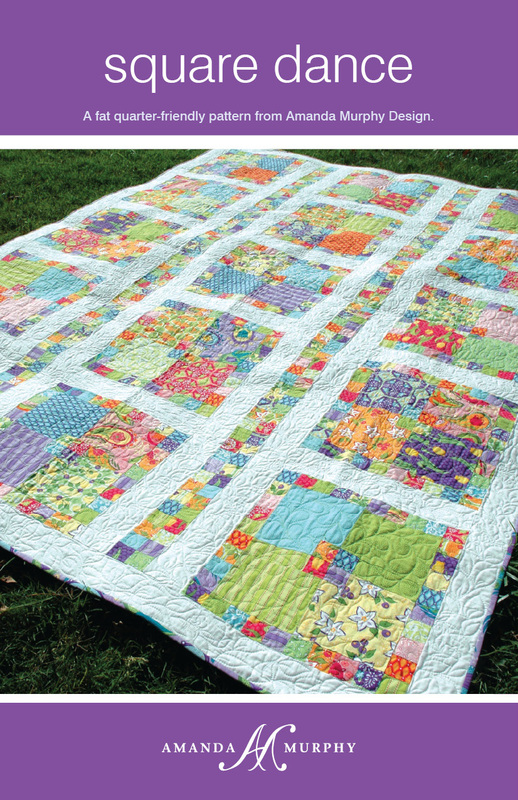 You need 20 fat quarters for the twin size quilt and 9 for the smaller lap version. I’m sending them off to the printer, but in the meantime I’m trying something new. I’m temporarily putting them on Craftsy. I will eventually take them down once the printed patterns come out, but right now you can download them over in my store! Next post: Under the Veranda… at last!